Samantha Fredberg is currently a senior at North. In her free time, she enjoys watching The Office and listening to Broadway musicals, especially Hamilton. She loves to spend time with her dog, tortoise, and little sister, Sophie. Samantha is excited to be a part of Volume 97 of the Newtonite! Sophia is a junior at Newton North High School and co-editor-in-chief of the Newtonite. She is a member of the debate club and Model United Nations as well as the girls cross country and track teams. In her free time, she enjoys reading, writing, running, and playing the piano. Sophia also loves to travel and hopes to someday road trip across the country and backpack through Europe. Rose is a senior at North. She plays ultimate frisbee in the fall and spring. She loves to hike, ski, and be outdoors in general. Friends and family are important to her, and she loves to spend time with them. She also likes to watch television and her favorite shows include The Office, Parks and Recreation, and Friends. Joelle Sugianto is a senior at Newton North who loves to travel, eat good food, and spend time with friends and family. During her free time, she likes to listen to music, collage, draw, and teach her dog new tricks. Her favorite movies are Breakfast at Tiffany's and Forest Gump. This is her first year as a managing editor for the Newtonite and she’s very excited for Volume 97. Ophelia is currently a senior, and excited to be the ads and business manager for the Newtonite volume 96. She plays for North’s field hockey and lacrosse teams because she loves the sense of teamwork and spending time outdoors. Her and her two sisters love to listen to Walk the Moon. This year, Ophelia hopes to build her leadership skills. 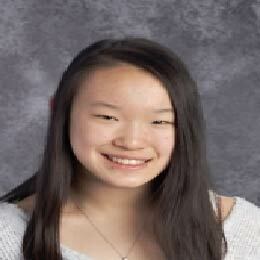 Amy Xue is a sophomore at Newton North High School. Her many hobbies include writing, drawing, and reading. She also loves listening to music, and her favorite artists are Lorde, Blossoms, Lana del Rey, and the Arctic Monkeys. If one is ever in need of a three-hour long conversation, feel free to talk to her about Hamilton, Black Mirror, or how much she hates The Bee Movie. Carolyn is a junior at North and an arts editor for the Newtonite. In her free time, she loves to read, sing a capella, and dance. She is also a member of the Ligerbots, South and North’s robotics team. Her favorite things include fuzzy blankets, Gilmore Girls, green tea, and being with her friends. She also loves her mom, dad, and brother. She is looking forward to this edition of the Newtonite! Jacques is a sophomore at North as well as a news editor for the Newtonite. In his spare time, he always enjoys playing soccer with his friends and family. But repeatedly watching the same shows on Netflix such as The Office is also something he likes. He enjoys to come home and see his bird and turtle after school. Jacques has traveled to many places around the world including Lebanon, France, The Dominican Republic, and more. He is very interested in learning about different cultures and places around the world and is especially excited to be a part of Volume 97! Helen is a sophomore at North. Outside from the Newtonite, she enjoys staying active and participating in all kinds of competitions ranging from math competitions to swim meets. She is currently on North’s math team and swims for North’s swim and diving team. Helen also enjoys spending time outdoors and visiting new places with her family. She has visited many other states in the United States, including two national parks, and has also been to Canada, Mexico, the Bahamas, China, and many countries in Europe. Something that Helen doesn’t like is getting pictures taken of her, hence the reason why she has a school picture as her profile picture. Sophie Murthy is currently a sophomore at Newton North and a news editor for the Newtonite. In her free time, she enjoys dance, reading, watching YouTubers like Gabbie Hanna and Shane Dawson, playing the flute and piano, and listening to music. She loves ducks, books, candy, Alaska, the color black, the musical Hamilton, and is very introverted. Sophie is looking forward to a great year and volume! Zoe Goldstein is a junior at North and an opinions editor for the Newtonite. In her spare time, she enjoys reading, writing short stories, and wearing huge sweatshirts. Sometimes, she can be found high above the ground on the aerial silks, although she spends most of her time on the ground. She loves the ocean, cats, morbid humor, and the podcast Welcome to Night Vale. Her favorite color is red, her favorite food is chocolate, and her favorite type of weather is dark and stormy. Cameron Kellstein is currently a sophomore at Newton North. In his free time he enjoys reading, writing, watching netflix, and listening to music. He likes spending time with her cats and hanging out with friends. He currently walks dogs after school and loves going to the dog park. Cameron is happy to be apart of Volume 97 of the Newtonite. Skyler is presently a sophomore at North. His favorite things to do in his free time include playing guitar, playing video games, and watching history videos for hours on end. Skyler thoroughly enjoys math and science, and his favorite subjects are geography and history. He loves to travel, hoping to reach every part of the globe at some point in his life. When not playing music or editing videos on his computer, Skyler loves to play with his two huskies, and spend time with his parents and younger sister. He looks forward to having a great year in Volume 97! Jai is currently a junior at North. He enjoys reading, singing and watching Friends in his free time. He loves hanging out with friends and family. Jai is excited to be joining the Newtonite this year! Jake Forbes is a junior at North. He plays for the varsity golf team and is a member of the varsity gymnastics team. Jake played in the Bay State Conference golf tournament this past fall and is the defending state champion on parallel bars and horizontal bar. He enjoys traveling to other states to play golf at well-known golf courses. If Jake could live anywhere in the world, he would live in San Diego, California because he enjoys the warm weather. Nichol is a junior at Newton North. He enjoys playing and viewing numerous sports, including basketball, soccer, and football. As a Sports Editor, Nichol writes about athletic events going on at the high school. In the future, he plans on covering basketball or football as a sports journalist.